View More In Exercise Bands. The system features single color resistance band dispensers with 1 or 30 individually wrapped 5-foot bands, each with its own bar code, and safety instructions. 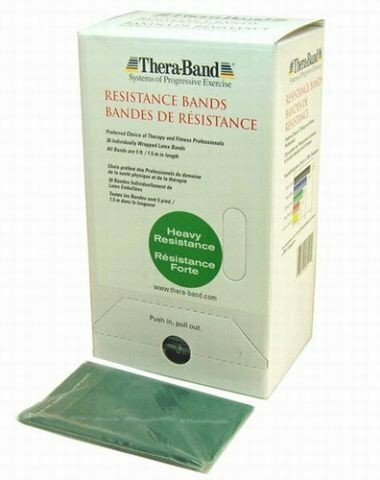 Dispenser packs are available in the universally recognized Theraband and colors of yellow, red, green, blue, and black, the five most widely used Thera-Band resistance bands. Helps limit cross-contamination between sick patients who otherwise would be sharing their bands. If you have any questions about this product by TheraBand, contact us by completing and submitting the form below. If you are looking for a specif part number, please include it with your message.